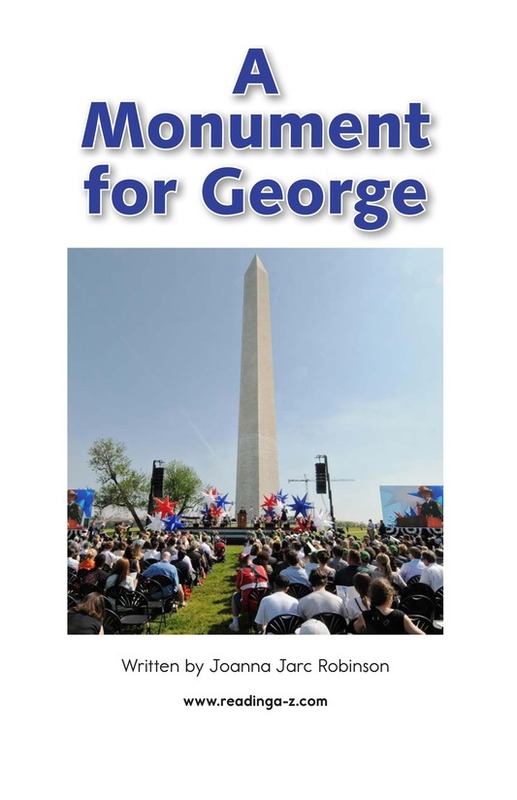 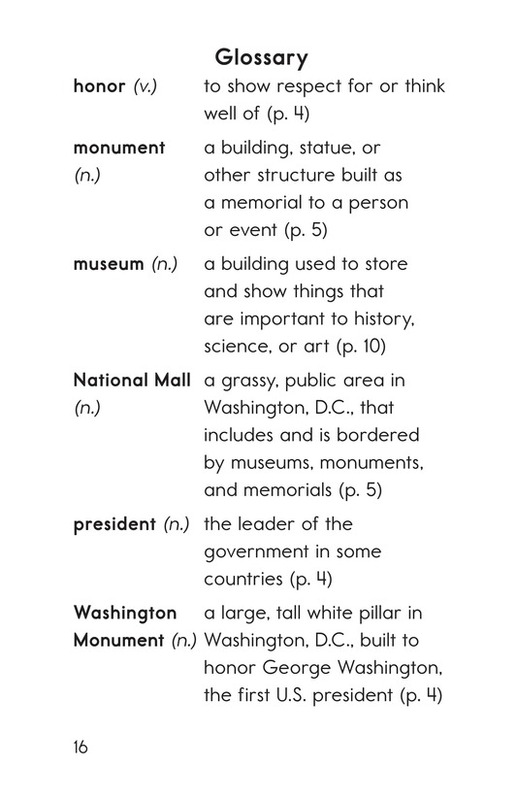 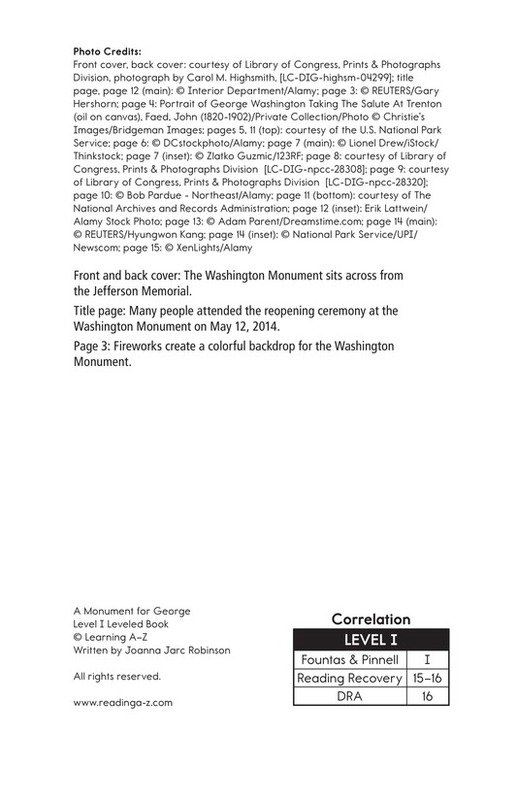 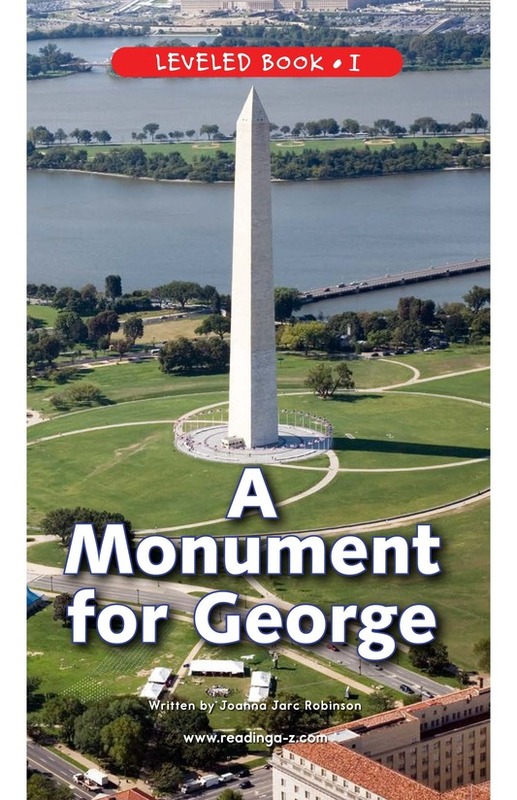 In Washington, D.C., on the National Mall, stands a tall, white monument built to honor our first president, George Washington. 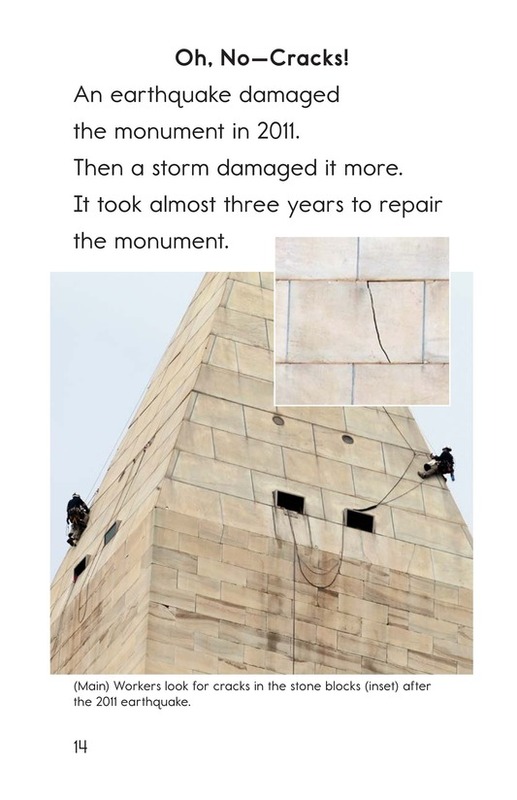 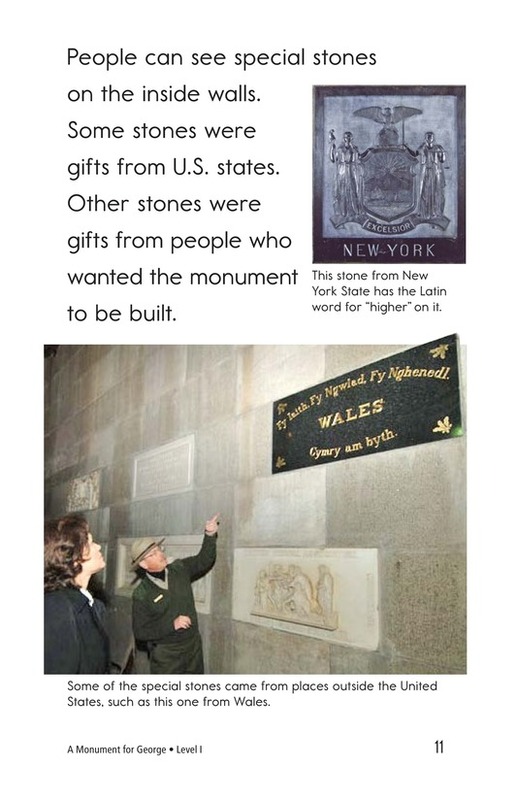 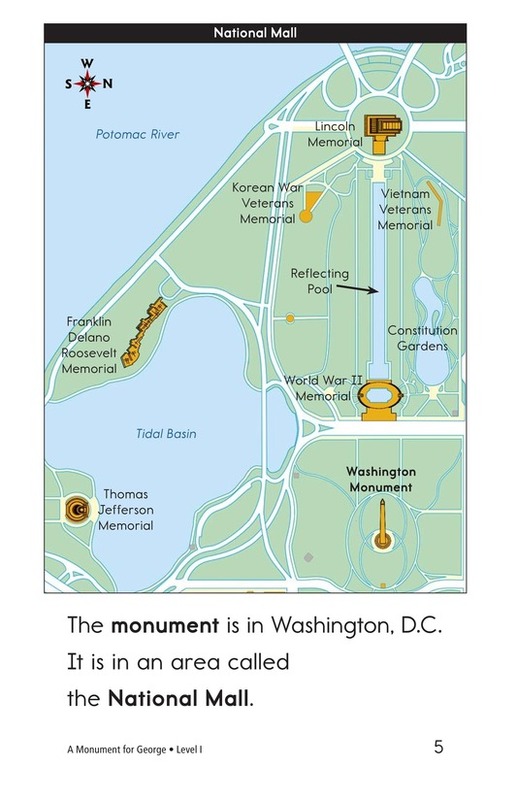 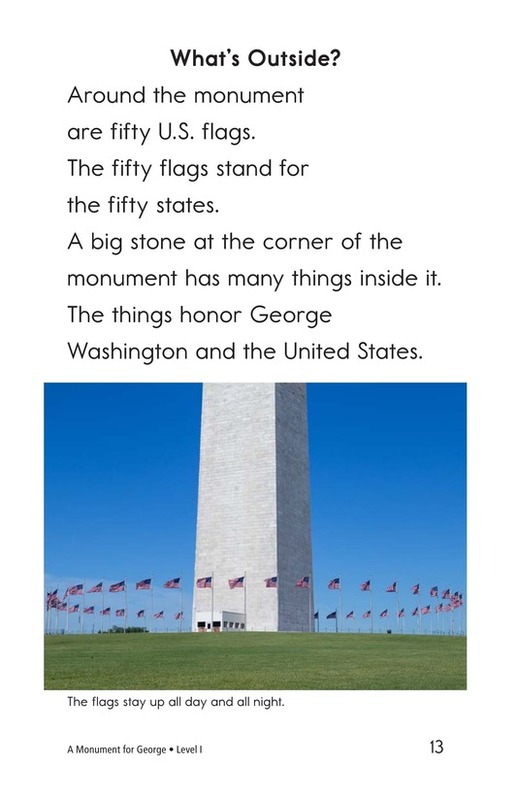 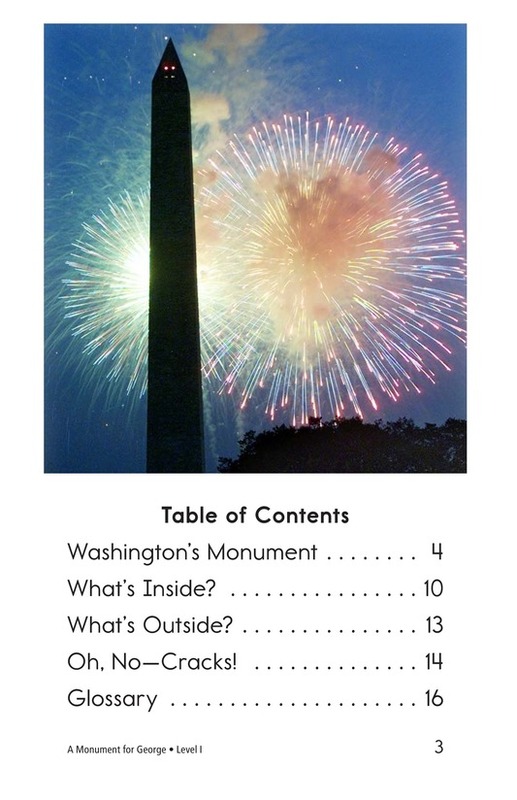 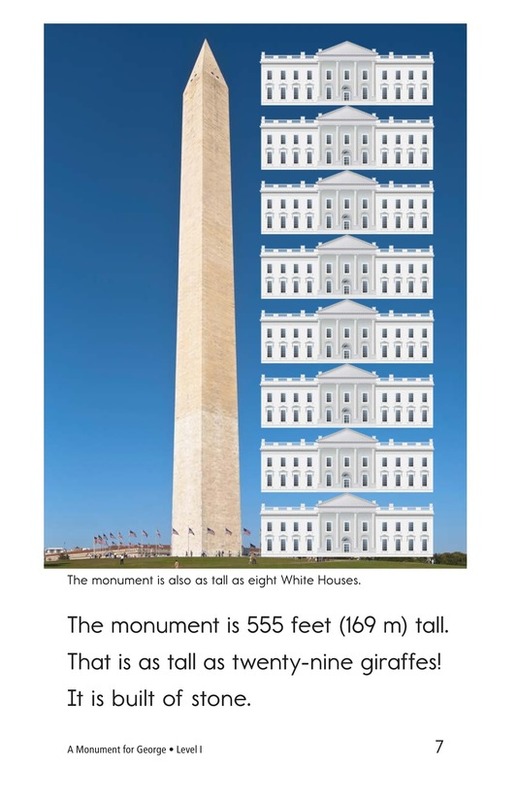 Readers will learn many interesting facts about the inside and outside of this famous landmark. 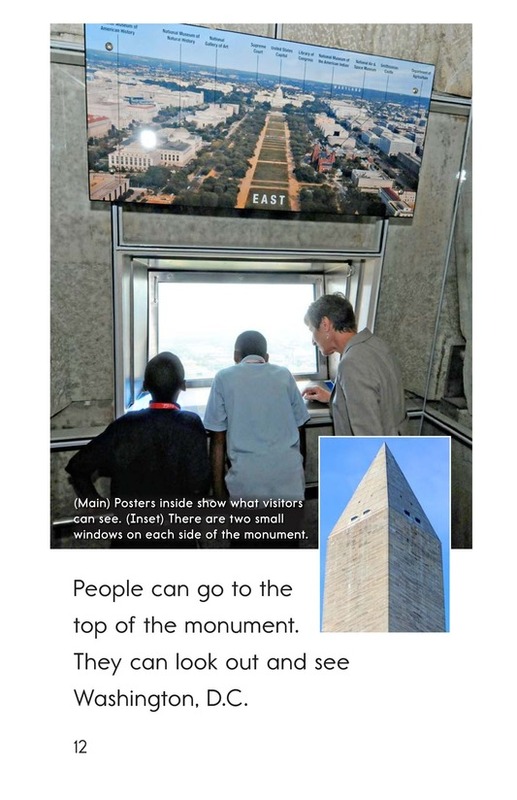 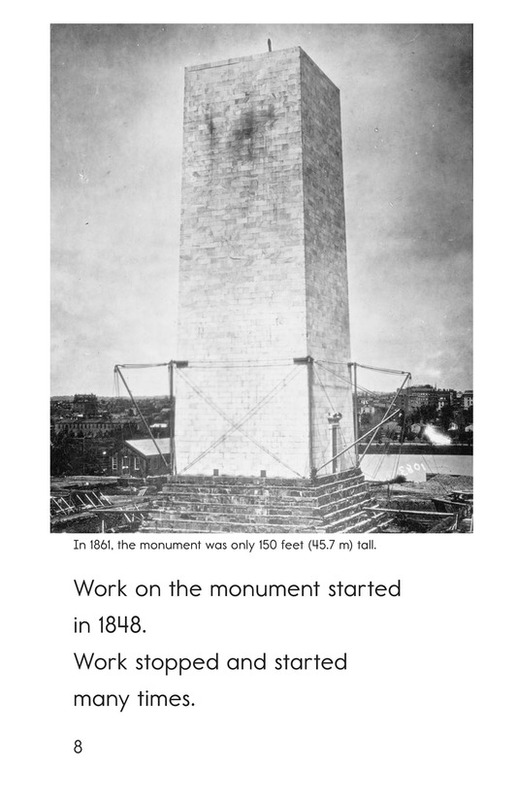 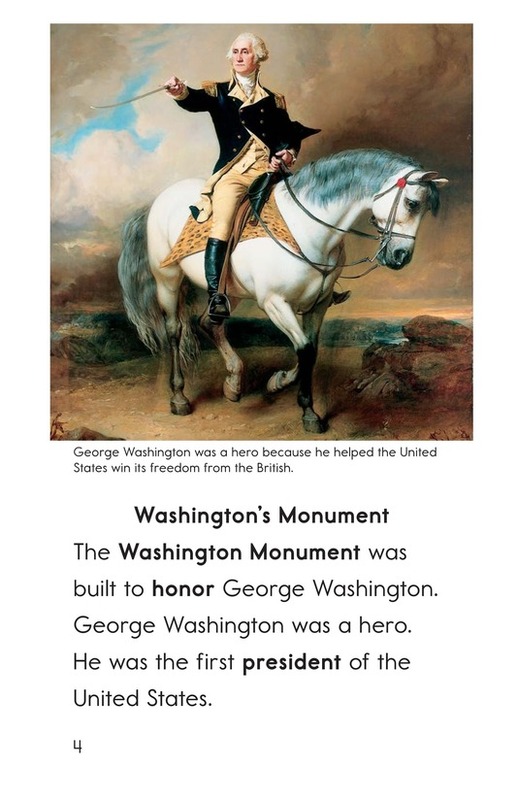 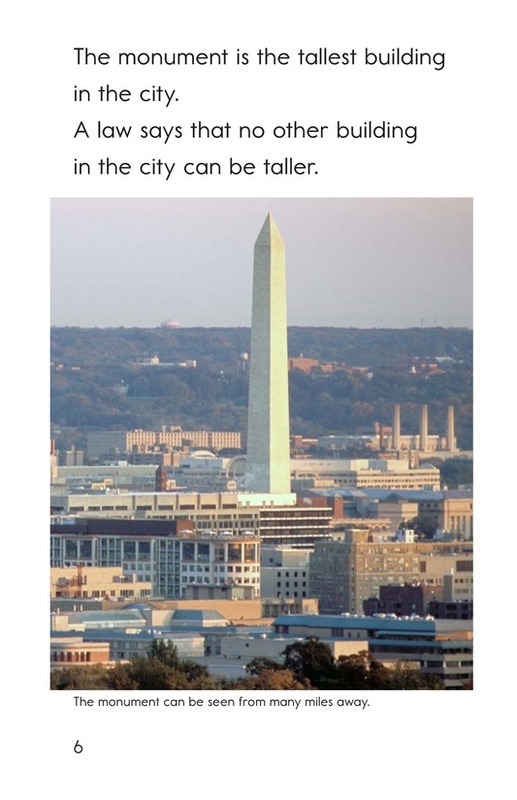 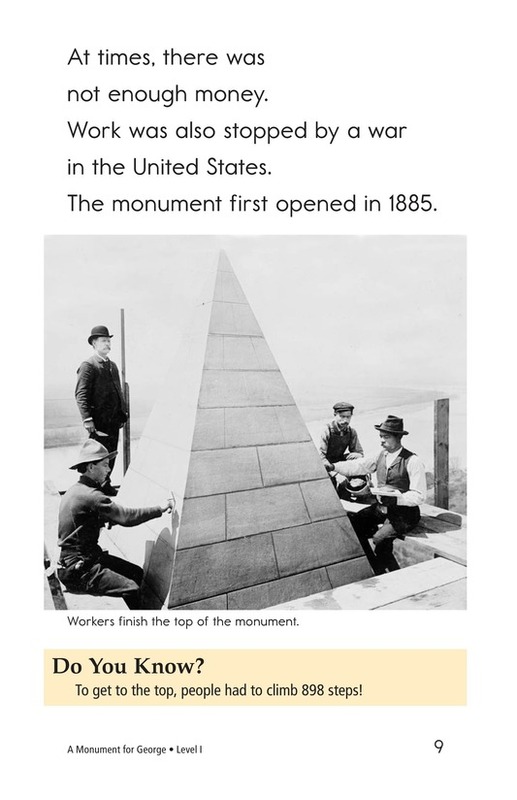 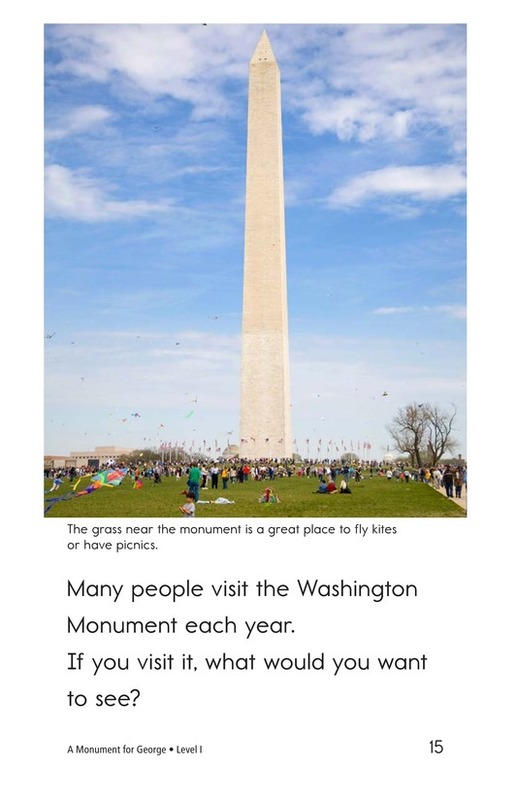 Engaging photographs and captions support the text. 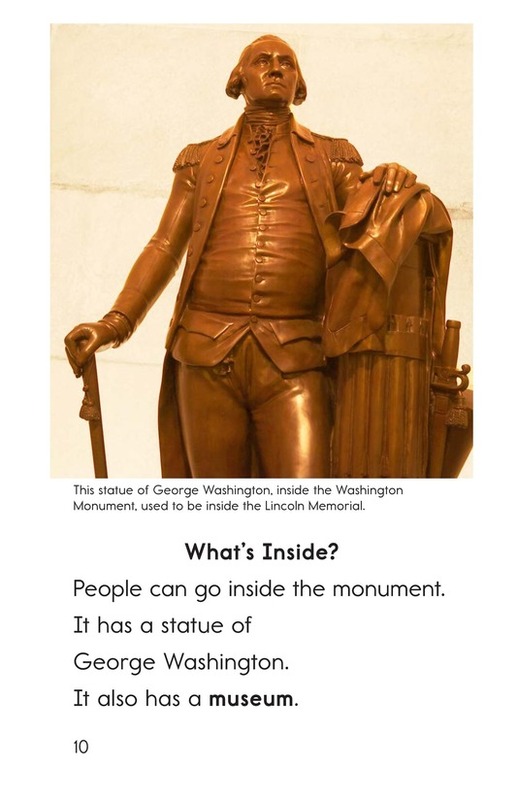 Use this book to give students the opportunity to visualize as well as to determine the author's purpose.